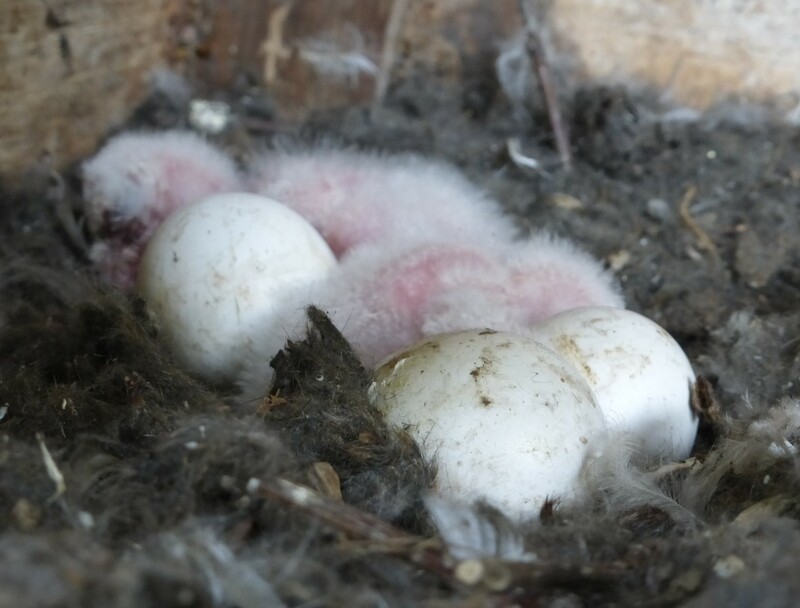 Last year barn owls were roosting in the boxes, but it was a poor year for breeding, due primarily to a cyclic population dip in their vole prey which occurs every 3-4 years. 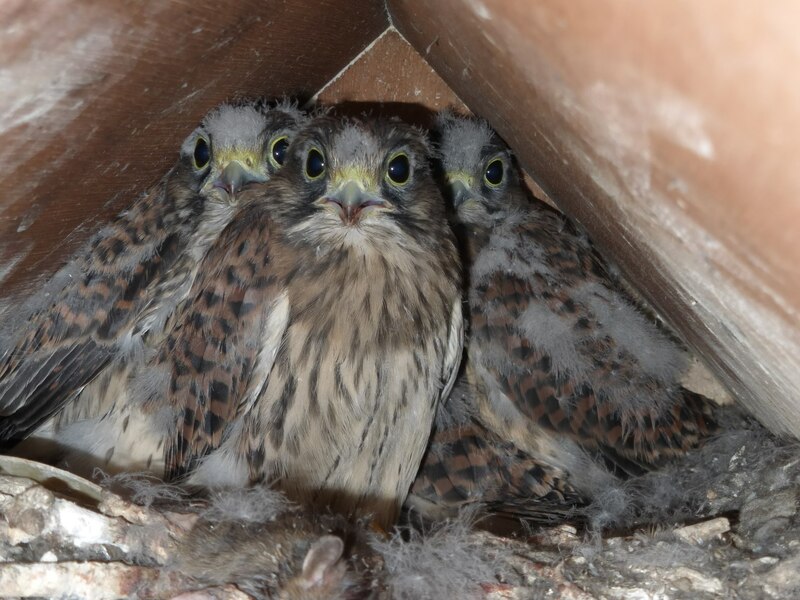 Nationally there was also a high nest failure rate, with females often unable to reach breeding weight or males not delivering enough food (Colin Shawyer). 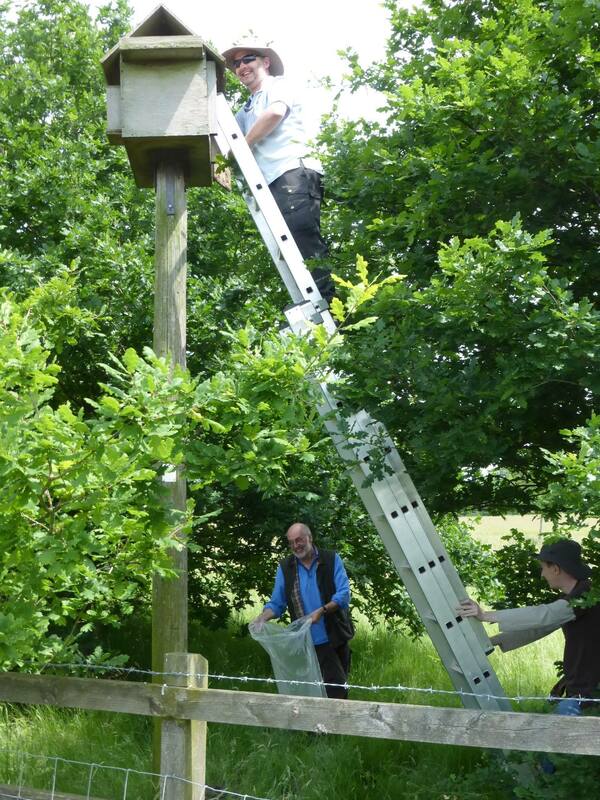 My survey last year supported this with barn owls or kestrels breeding in only 3 of the 17 local boxes. 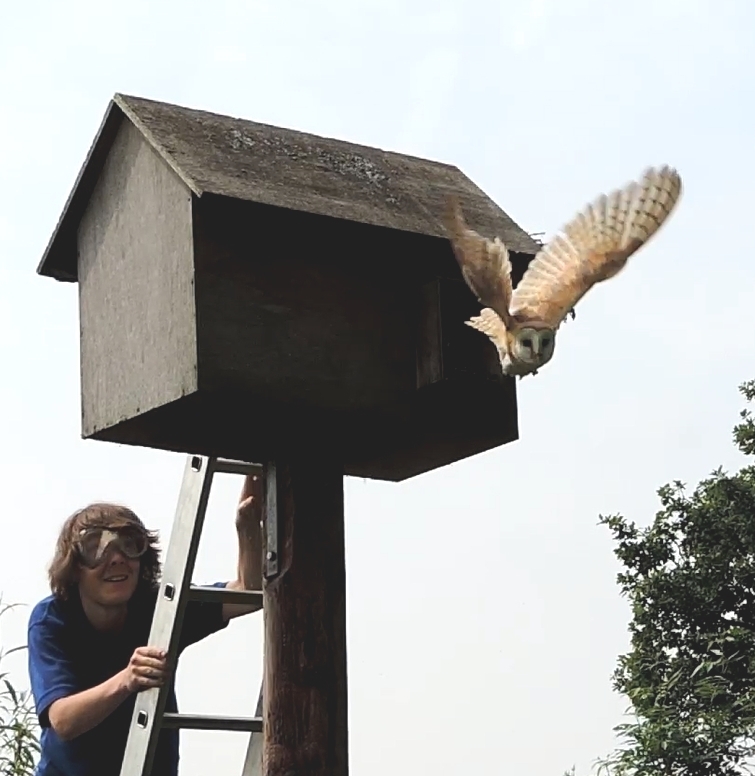 This year the barn owls are bouncing back, with barn owls or kestrels breeding in 8 of the 16 boxes. 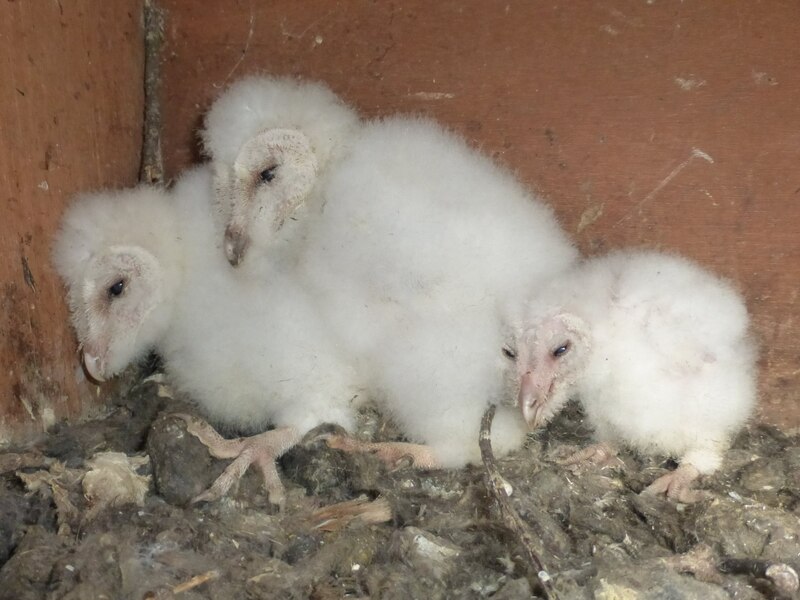 The box repairs the volunteers carried out last year have proved invaluable, with 4 barn owl chicks found in a Hurst box with a newly fitted door. In a Finchampstead nest box the poor breeding last year has bizarrely improved the success this year. In 2015 many of the mature females “knowing that they were in no condition to breed, made little attempt to re-settle at their nest sites, thus providing an open opportunity to the young incomers ” (2015 Season Update, BOCN, Colin Shawyer). In this case our resident infertile barn owl pair were replaced with a nest of 4 chicks. Thank you to everyone for all your hard work. This entry was posted in Conservation, Moor Green Lakes, Volunteers, Wildlife and tagged Moor Green Lakes, Volunteers, wildlife. Bookmark the permalink. And thank you for collecting some pellets for me.